When I first found online that you can make money by completing surveys, Rewarding ways was then one of the first sites I stumbled across. Along with a couple of others such as Swagbucks. I first signed up for the site a couple of years ago, and as I remember my first impressions of the site weren’t great. However, over the years, I have used it from time to time. Rewarding Ways is a site that first started up in 2011 and is the sister sites to Superpayme and Offernation. Since they’ve started they have claimed to pay over 250000 members and over £520,000. It is free to sign up for Rewarding Ways, although similar to Superpayme you do also have to enter other details such as mailing information. The reason they ask for this is to confirm which country you reside in so that they can match you with the right offers. What Payouts Can You request? What Ways Can You Earn Money Using Rewarding Ways? This is probably the most common way on the site to make money, as they frequently update the surveys daily. For countries such as the US you will find this site great as the survey opportunity’s are much better then countries like the UK but it so often the case with survey sites these days. If I was to pick out the issue with these surveys is that qualifying for the surveys at times can be quite difficult and frustrating. 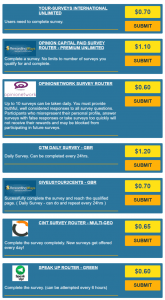 I have found that trying the same survey routers on this site and some others is that I’ve had more success with the same surveys on sites such as Prize rebel which is odd. You will also notice with this site that the likely hood of completing a single survey at the weekend is close to impossible. So if you want to complete surveys on this site its best to attempt them when there weekly updated on a Monday/Tuesday. 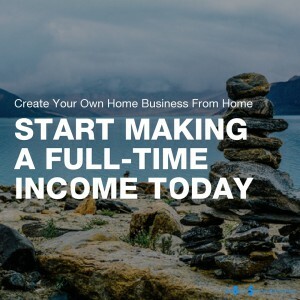 When it comes to making a lot money in the long run I wouldn’t look any further then the idea of creating your own business. Not only is this the best way to make money going forward its also a safe and legitimate opportunity. Have you checked out Rewarding Ways before? What are your thoughts on them? 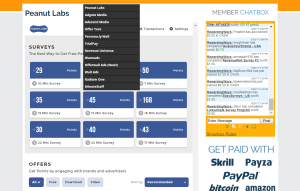 Previous Post How To Get Free Food For Taking Surveys Next Post Ipoll Survey Review – Are They Legit Or A Scam?